Just how many WWI movies with wacky romantic comedy subplots can one Academy Award season handle? Apparently, the answer is two. 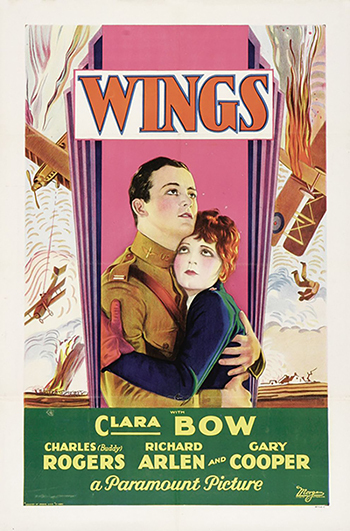 This week, our hosts review the 1927/1928 winner, Wings. David hates it, Suzan loves it, but they both agree Clara Bow is adorable. Also, there's amazing plane fights, a poorly developed love quadrangle, a shockingly brief bit of Gary Cooper for him to get billing on the poster, and the most delightful drunk sequence this side of Dumbo.